The most important thing you manage is your own energy. Self-importance. The false belief others can’t survive without you, drains you. Fatigue after pouring your heart into failed projects. Build in breathe time after high-stress activities. Make self-reflection a daily ritual. Finish a project, don’t rush to the next. Allow for margin. Create organizational structures and systems that don’t depend on you. Talk it out when you’re worn out. Find a listening ear that helps you see more clearly. Take on a task or project you can complete quickly. Reconnect with your purpose. Why do you do what you do? Believe. Believe you can make a difference. Believe in your team. Bonus: Eliminate energy vampires. If you can’t reform energy vampires, remove them. If you can’t remove them, reassign them. How do you help others find energy? I love this. It makes it easier to leave a job with a good conscience in that you set your employer as well as your successor up for success in your absence. This is especially true if you are topped out in your current organization and are ready to move on. Thanks Jody. Self-important leaders need to be at the center of everything. Humble leaders find freedom by putting others at the center. We’re still responsible, but free to leverage the strength of others. It’s a pleasure to be useful. I’m beginning to think you save the good ones for Sunday. Consistent with what you are saying here, IMHO, is remembering that each of us works ourselves first. I work for me, whether I am a one person endeavor or I am part of a large corporation. With that in mind, it is critical that each of us pays attention to our energy and passion. Where it comes from and how it impacts us. Excellent points as to how we can be drained (or allow ourselves to be drained) and how we can re-energize. Thanks much, Dan. Thanks Alan. It’s great that you enjoy these Sunday posts. You got me thinking about the importance of paying attention to WHERE energy comes from. Sounds like a fascinating project that requires both self-awareness and self-reflection. A very timely post once again. Monday mornings have never agreed with me and we’re taking our daughter back to the paediatrician today after a round of tests and it’s a stressful time. During stressful times, it’s so easy to slump: eat poor food, stay up to late, sleep poorly, pump yourself full of caffeine when you really should be doing the reverse more so than ever. I’ll be sticking these points on the fridge. You wrote a list of energy drains. It’s so easy to slip into negative behaviors, especially during stressful times. Thanks very much SGT Steve. I really enjoy reading Dan’s blog and applying his advice to our family situation. My work environment has been relatively straight forward but my kids have been quite non- compliant and so I need to apply the most rigorous leadership training to my role as a parent. So far, things are looking good for my daughter. The serious nasties have been eliminated and the doctor is trying a medication to treat her stomach so things are looking cautiously fantastic..if that makes sense. Thank you for your concern. I really appreciate how the blogging community is so close-knit and people genuinely care about each other. It’s so refreshing! Worry is an energy drainer! Thanks Sabrina. Great add. Much appreciated. i agree with you completely, Dan! So much so that the workshop I am putting together is based on this very concept. It’s my experience working face-to-face with customers that led me to this realization. And there are many more people that are coming to this same realization – thank goodness!! A very important message you have here, Dan! And written with clarity like no one else! Thanks Michelle. Best wishes for your workshop. I appreciate your encouraging words. You are so right on Michelle, Dan writes SO clearly with so few words! Dan, Thanks YOU for your continued input into our lives! high energy from a leader is contagious. I believe the two sayings go together quite well. Today Leaders are faced with the same nagging question leaders struggled with in the past, “what are the task’s, or issue’s of the day that absolutely require the leaders presence, and, or, expertise.” More and more is expected and required of the present day leader. Strategic planning and scheduling separates good leaders from great ones. Leaders not only (can’t) do everything, there’s not near enough time in a day to even come close. There’s where my daily reminder comes in handy. 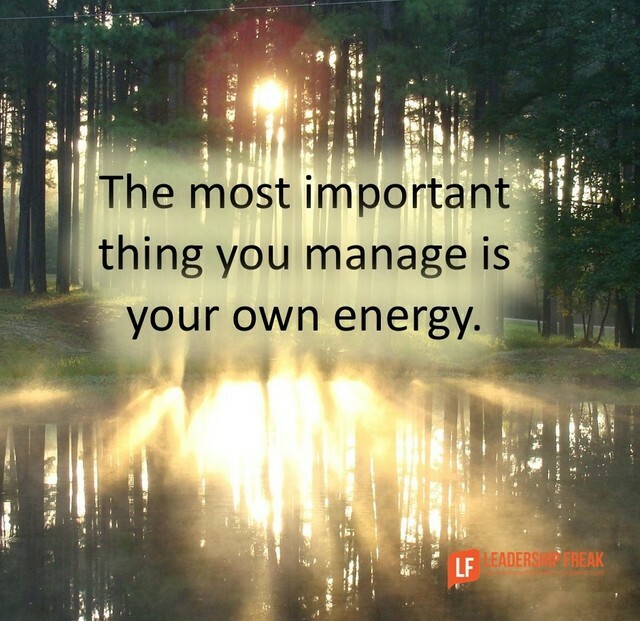 Leaders, it’s up to you to decide whats most important & where to spend your time and energy. Leaders that can prioritize with Surgical Precision will always be in demand. Leaders that can’t,effectively prioritize waste their companies time, energy and precious resources. In the end, the most important issue’s go unchecked as your organization continues to suffer. No one said leadership was easy. The fact is,( IT’S NOT ) ! These are my two killers, largely because they are the core of the business. Every once in a while there’s an easy study/project, but mostly people come to me to get their problems solved. You keep saying “if it was easy, they’d get somebody else to do it” but that can only go so far. My first boss (who’s on the point of retiring to an easy gig in academia!) taught me a vital lesson: coach your subordinates to do YOUR job. If anything happens to you, for a while at least everything can go on seamlessly, but also, you can give bits of it to them at other times. Not only can this empower them, by showing your trust and letting them expand, grow and shine, but it buys you time to create energy and space to fix the bits they can’t. You lift them, they lift you. I can see a long way because I can stand on the shoulders of giants! Dan, I think “Build in breathe time after high-stress activities” is especially important for pastors as we approach Good Friday and Easter this week. As leaders, we tend to allow ourselves to capitalize on the adrenaline after busier than average seasons. When the work for an event or project is complete we tend to continue pressing forward at the same pace. This is not healthy for any of us. I’ve been there and I have experienced first hand the benefits of building in breathing time. Thanks for the great post and reminder. Excellent post as usual. Along with “Create organizational structures and systems that don’t depend on you” we might add “Develop people so they don’t need to depend on you”. That truly is a successful leader and gives us that added breathing room. Wow Bill, you identified that other side of that coin! Dan, one thing my dad taught me about energy drain was an “unmade decision” will drain me very fast. –I found that to be very true for me.